CNSNews brings us the expected news, at least expected to those of us who can see through the Democrats’ ploys, that they want to increase taxes on those making as little as $104,425. The Democrats are trying to squeeze money for the Government anywhere they can, despite any “promises” they made during the “election”. They’ve already tossed the ball around cutting VA benefits, but were batted down after such an outcry. They’re getting ready to introduce the “cap-and-trade” crap that will only increase the cost of goods and services for everyone in America. The tax on cigarettes hit today as well as the “stimulus” money in our paychecks, which is actually netting them more money on joint filers like myself. I’ve had to increase my withholding, and I’ll probably still end up owing at the end of the year. I can say one thing: this is definitely “change”, but this “change” is killing America. (CNSNews.com) – Sen. Max Baucus (D-Mont. ), chairman of the Senate Finance Committee which has jurisdiction over federal tax law, is seeking a vote this year on legislation that would increase the income tax rates on some Americans who earn as little as $104,425 per year. The bill, which Baucus introduced Thursday, would fulfill many of President Barack Obama’s promised tax changes, including making most of the tax cuts enacted under former President George W. Bush permanent while raising taxes on Americans making more than $250,000 per year. But those making more than $250,000 per year would not be the only ones to see their taxes go up if Baucus’s bill becomes. The proposed legislation would raise the rates on the top two income brackets, from the current levels of 33 percent and 35 percent respectively, to 36 percent and 39.6 percent. The new rates would become effective after 2010. The increase in the rates for these two brackets will affect all taxpayers who fall into these two brackets regardless of their filing status, according to Heritage Foundation Senior Policy Analyst Curtis Dubay, who reviewed the legislation. That means some taxpayers earning as little as $104,425—far less than half the $250,000 threshold President Obama set for raising income taxes—would see their income tax rate increased. According to the Internal Revenue Service, the second highest income bracket—currently set at 33 percent—kicks in at an income level of $104,425 for a married person filing separately; $171,550 for someone filing as a single person; $190,200 for someone filing as a head of household; and $208,850 for a married couple filing jointly. Under Baucus’s proposal, the tax rates for all these people would jump to 36 percent. The highest income bracket—currently 35 percent—kicks in at an income level of $186,475 for a married person filing separately; and $372,950 for all other filing statuses. For a chart showing the current tax rates and income brackets for all filing statuses in 2009 click here. The income levels in question are indexed to inflation–meaning they will almost certainly be slightly higher by the time the new tax rates take effect in 2011 if Baucus’s bill passes. Since 2007, the income level for a married person filing singling in the 33-percent tax bracket has gone up only $6,500, from $97,925 to $104,425. CNSNews is pointing out that the Bush tax cuts will expire next year which will mean increased taxes for everyone during a recession if Congress and Obama don’t act. Not that I expect them to do anything; after all, they have to pay for this “stimulus package” and their desired socialist programs, somehow. All of this “free money” isn’t free, you know. (CNSNews.com) – With massive tax increases waiting in the wings for American taxpayers when the Bush tax cuts end in 2010, the Obama administration and Congressional Democrats will soon turn their attention to taxes. The director of the White House Office of Management and Budget, Peter Orzsag, will host a “fiscal responsibility” summit Monday with congressional Democrats and others, in an effort to highlight the administration’s upcoming efforts to reform government health-care entitlements and bring a modicum of balance to the federal budget. 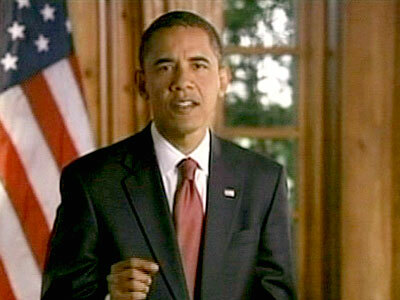 “I want to eliminate the Bush tax cuts,” Obama told CNN’s Wolf Blitzer in a May 2008 interview. Obama also said, in a June 2007 Democratic debate at Washington, D.C.’s Howard University, that repealing the Bush tax cuts would help pay for universal health care and other social programs he envisioned. “The Bush tax cuts — people didn’t need them, and they weren’t even asking for them, and that’s why they need to be less, so that we can pay for universal health care and other initiatives,” Obama said. Enacted in 2001, the Bush tax cuts reduced the income tax rate for all taxpaying Americans, as well as rates on capital gains and stock dividends. The tax cuts are set to expire in 2010 unless Congress renews them, meaning their expiration would amount to an across-the-board tax increase for Americans who pay income taxes, roughly 60 percent of the country. But unless Congressional Democrats act to prevent it, every income tax bracket will rise, with the lowest tax bracket experiencing the largest increase – jumping from 10 percent to 15 percent of income. Those who pay no income tax at all will see a reduction in benefits provided by refundable tax credits, a form of social spending. The 2001 tax cuts increased the amount of the Child Tax Credit that is refundable – money which can be earned even if no income tax is owed – to $1,000. Unless Congress extends the tax cuts, low-income families will only be able to get a maximum of $500 per child. Another tax set to rise in 2010 is the capital gains tax, which will rise from 8 percent to 10 percent for those in the 10 percent tax bracket. For everyone else, capital gains taxes will rise to 20 percent. Capital gains are profits made on investments when those investments are sold. Investments that can incur capital gains taxes include stocks, bonds, real estate and financial instruments, like securitized debt. An increase in capital gains taxes could prove controversial, given the slumping real estate and financial markets, because it could make selling homes or securities more difficult, due to the higher real cost caused by the higher taxes. The tax rate on dividends is also set to rise in 2010. Currently, dividends are not taxed for those in the 10 percent tax bracket and are taxed at 15 percent for investors in every other tax bracket. Barring congressional action, dividends will be taxed as normal income – at the newly raised rates. Allowing the Bush tax cuts to expire will ironically revive the controversial estate tax, which is set to be eliminated in 2010. Known by some as “the death tax,” this provision places taxes on large inheritances, regardless of whether they are inherited through a will or simply passed on when someone dies. Advocates of the death tax say, if it returns to force, it would only affect estates worth $1 million or more. But opponents criticize it because the tax can often encompass ordinary farms, small businesses and other long-time family-held properties that are worth $1 million or more on paper, but are not really part of the large inheritances that were the original target. Congress could act to extend or make permanent the Bush tax cuts and prevent taxes from rising, however, that will make balancing the budget and paying for Obama’s planned healthcare reforms nearly impossible, according to Roberton Williams, senior fellow of the Tax Policy Center – a joint project of the Urban Institute and the Brookings Institution. Cutting spending to balance the budget is unlikely, Williams explained, because spending has grown far too fast, prohibiting Congress from cutting enough social programs to bring the budget back down to Earth. Letter From The Capitol has an interesting piece posted today. John shows, in Pelosi’s own words, some of the mindset of House Speaker Nancy Pelosi. The best part is the letter from a boss to his employees; he absolutely gets it right. 1) They are naive and believe this will actually work even though history and economics show otherwise. 2) They don’t think it will work, but are following the crowd so t hey won’t make waves for Obama. 3) They are encouraging further economic failure in order to elevate the poor, set up a bigger government, and start socialist state. It’s no secret that Obama thinks that the “economically disadvantaged” have been in their state too long, and the Government should redistribute wealth to make things “more even”; he’s on record saying just that. The problem is that this doesn’t work. Just look at any prosperous socialist country. Wait, there isn’t one. Do we really want to be some quasi-Russia or China? Even if, in his own eyes at least, Obama was a “benevolent ruler”, do you think the next President (or whatever he would call himself; the Constitution is meaning less and less every day) would be as “good” or “better”? History shows us what power does to people; any “moral standards” we employ upon ourselves quickly disappear when power comes into play. “I didn’t come here to be partisan. I didn’t come here to be bipartisan. I came here, as did my colleagues, to be nonpartisan, to work for the American people, to do what is in their interest…. But Pelosi later said, more candidly: “We won the election. We wrote the bill.” GOP Members were completely barred from offering drafting input. There have been some rumblings around the office about the future of this company, and more specifically, your job. As you know, the economy has changed for the worse and presents many challenges. However, the good news is this: The economy doesn’t pose a threat to your job. What does threaten your job however, is the hanging political landscape in this country. However, let me tell you some little tidbits of fact which might help you decide what is in your best interests. First, while it is easy to spew rhetoric that casts employers against employees, you have to understand that for every business owner there is a back story. This back story is often neglected and overshadowed by what you see and hear. Sure, you see me park my Mercedes outside. You’ve seen my big home at last years Christmas party. I’m sure; all these flashy icons of luxury conjure up some idealized thoughts about my life. However, what you don’t see is the back story. I started this company 28 years ago. At that time, I lived in a 300 square foot studio apartment for 3 years. My entire living apartment was converted into an office so I could put forth 100% effort into building a company, which by the way, would eventually employ you. My diet consisted of Ramen Pride noodles because every dollar I spent went back into this company. I drove a rusty Toyota Corolla with a defective transmission. I didn’t have time to date. Often times, I stayed home on weekends, while my friends went out drinking and partying. In fact, I was married to my business — hard work, discipline, and sacrifice. Now, the economy is falling apart and I, the guy that made all the right decisions and saved his money, have to bail-out all the people who didn’t. The people that overspent their paychecks suddenly feel entitled to the same luxuries that I earned and sacrificed a decade of my life for.Yes, business ownership has is benefits but the price I’ve paid is steep and not without wounds. I am being taxed to death and the government thinks I don’t pay enough. I have state taxes. Federal taxes. Property taxes Sales and use taxes. Payroll taxes. Workers compensation taxes. Unemployment taxes. Taxes on taxes. I have to hire a tax man to manage all these taxes and then guess what? I have to pay taxes for employing him. Government mandates and regulations and all the accounting that goes with it, now occupy most of my time. On Oct 15th, I wrote a check to the US Treasury for $288,000 for quarterly taxes. You know what my “stimulus” check was? Zero. Nada. Zilch. If any new taxes are levied on me, or my company, my reaction will be swift and simple. I will fire you. I will fire your co-workers. You can then plead with the government to pay for your mortgage, your SUV, and your child’s future. Frankly, it isn’t my problem any more. WorldNetDaily has an exclusive story up about Martin Dzuris, a radio host in Michigan whose on-air program is critical of Obama. Martin is critical of Obama’s Marxist speech, but Martin has a special perspective: he defected to the U.S. in 1989 from Czechoslovakia where he had lived under Communist rule. Martin knows exactly what it’s like to live under a socialist government, and he can see the U.S. turning into the very same type of government he escaped from twenty years ago. His co-workers, many of whom volunteered for Obama’s campaign, are not only against his show, but some go so far as to “hate [his] guts”. However, if the fairness doctrine were in place, WRHC would have to put up with a lot more people like Martin in order to “balance out” their liberal vomit with conservative viewpoints. Politically active Barack Obama supporters in Michigan have tried to silence criticism of the president-elect on a talk program at a community radio station by cutting its air time, the program host says. Officials with radio station WRHC told WND the dispute involved talk show host Martin Dzuris’ coverage of local issues as well as national issues. But Dzuris explained in a lengthy interview with WND he attended at least one meeting where radio station officials discussed specifically how to reduce Dzuris’ criticism of Obama, which has linked Obama’s statements taken directly from his speeches to Marxism. Dzuris said one issue raised was Obama’s call in a Colorado Springs speech for a Civilian National Security Force, an issue on which WND has reported. Dzuris, who spent the first half of his life under communist rule in Czechoslovakia, told WND, that concept isn’t new at all. “We called them the ‘peoples’ militia’ (in Czechoslovakia),” he told WND. He said he’s reviewed Obama’s speeches in light of his upbringing under a Marxist-type government and discussed those issues on his program. He said he was born in Czechslovakia and defected in 1989. Radio station administrator Kim Pruitt confirmed that a number of individuals within the board structure of the 100-watt community station are active campaigners for Obama. But she said a recent decision that sparked Dzuris’ outrage to cut his show from two hours to one hour wasn’t made on that basis. She said Dzuris show had been extended from one hour to two months ago in order to allow time for discussion of “local events.” She said, however, Dzuris didn’t fill the additional time with local issues. “The situation was he actually was not spending very much time on the local events and he was spending time on the national events. Elections were of interest to him,” she said. So a decision was made by a programming committee to reduce the program time, she said. WND e-mails and telephone messages for the chief of the station’s board, as well as Obama’s transition team, did not generate a response. One board member, Dave Repetto, was contacted by WND but declined to discuss the issue. He referred WND to coverage in the area Three Oaks and New Buffalo newspapers. Former station program director Linas Johansonas agreed. Dzuris confirmed to WND he attended a program committee meeting in which members vocally expressed their opposition to the program’s political position including its criticism of Obama. But fellow program host Dennis Snow said that wasn’t an issue. Dzuris said the move to reduce his show time came after Obama volunteers, including some from the station, concluded a round of several thousand telephone calls in the region trying to generate support for the Democrat. People would respond that they weren’t voting for Obama and then reveal they got information about Obama’s links to unrepentant terrorist Bill Ayers, his Saul Alinsky influences and other factors, from Dzuris’ program. “On the programming committee, there are people, one that presented the motion, the other seconded the motion to cut my show … many of them were involved as volunteers in our local Obamam campaign,” Dzuris told WND. “They’ve been after my show. Now it came to a head,” he said. Many questions about Obama’s stated plans for a National Civilian Security Force that is at least as powerful and well-funded as the U.S. military remain unanswered. But Obama’s new chief of staff, Rahm Emanuel, has said there will be a mandatory “force” for Americans. “If you’re worried about, are you going to have to do 50 jumping jacks, the answer is yes,” Emanuel told a reporter who was podcasting for the New York Daily News. WND also reported when the official website for Obama, Change.gov, announced he would “require” all middle school through college students to participate in community service programs. That proposal, however, was changed suddenly after a flurry of blogs protested children being drafted into Obama’s proposal. The new wording reads, “President-Elect Obama will expand national service programs like AmeriCorps and Peace Corps and will create a new Classroom Corps to help teachers in under served schools, as well as a new Health Corps, Clean Energy Corps, and Veterans Corps. WND also previously reported on a video of a marching squad of Obama youth. The apparent censorship also raised questions about the so-called “Fairness Doctrine,” which, if re-adopted in Congress, could be used to severely limit conservative talk radio in the U.S.. If would require broadcasts over the public airwaves to give equal time to opposing political views. For talk radio, which boomed after the law’s repeal in 1987 by building an audience devoted to conservative talk, the law’s return would decimate the industry’s marketability. Many fear the “Fairness Doctrine” would drive talk radio hosts – like Rush Limbaugh, Sean Hannity and Michael Savage – out of business. The Associated Press, covered by Yahoo! News, has published a story that deals with some of the “facts” presented by Barack Obama in his 30-minute “infomercial” about himself.